Handmade RAIN of Western WA: Happy belated birthday to KC! Happy belated birthday to KC! My greatest apologies to KC, who had a birthday last week that totally slipped my mind. KC has two Etsy shops: World of Whimm and On a Whimm. World of Whimm is all about adorable costumes, fun interactive toys, and, of course, the crowns. 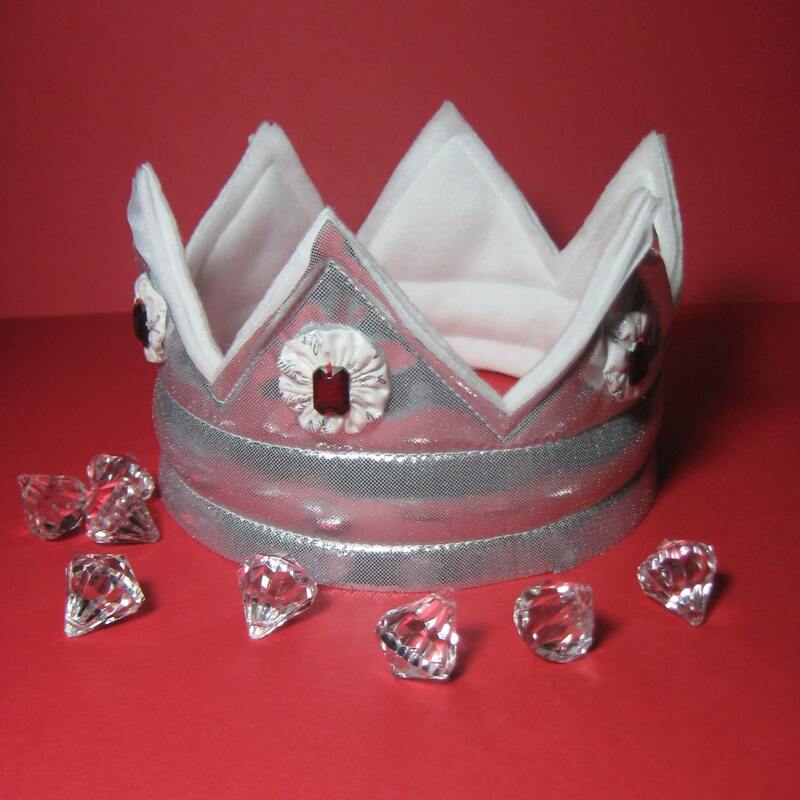 What started out as crowns for kids have now become crowns for kids and adults. On a Whimm is for other things that KC has made, primarily out of repurposed materials and fabric from her scrap pile. I absolutely love all of KC's crowns (and just can't decide if I'd rather have mine in black or purple), but my favorite photo of one of her crowns is the one with this post. Absolutely elegant! kc's crowns and costumes are the BEST! Seriously. The quality of her work is amazing...so perfect and precise! It's no wonder she's getting more and more offers from stores to sell her work! Go kc Go! Happy Belated Birthday!! !